1) Got into the TMS (https://tms.freshphone.co.za) and select your account, then on the dashboard page, scroll to the Account Settings section. 3) The QR Code will display. 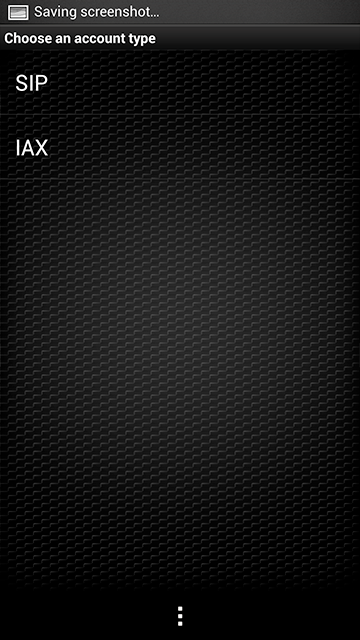 5) Now tap the QR Code icon on the top left of the home (dialer) screen, and using the phones camera, scan the QR code that should still be open on your PC. 6) The system will automatically install the correct settings, simply tap Login button, and your account will be setup. Make sure you are on the latest version of Zoiper. 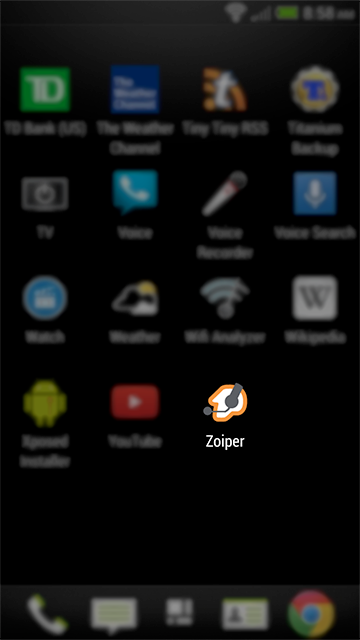 Open the Zoiper application by tapping on the Softphone's icon on your mobile device interface. 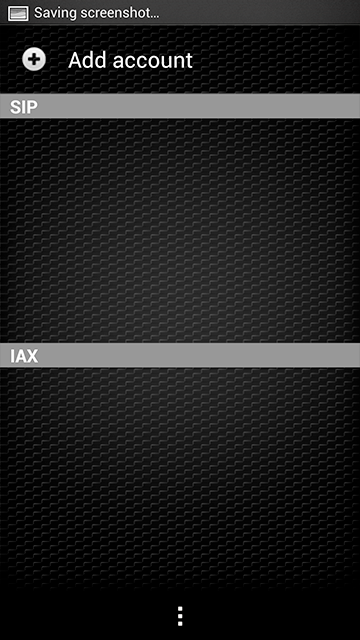 After launching the application, please tap on the Config icon on the top right corner of the application, as indicated by the screenshot below. Then select the Accounts option. Ensure you configure basic codec settings. To do this please scroll down, and select the Codec Settings option. On the Codecs Settings page, ensure that only iLBC is the only Codec selected and no other codecs are checked. Tap on the Save button to continue. Next, please select the Network Settings option, and set the option Use STUN to No. Leave the other settings in this window as they are. Once you are done make sure to save your changes by clicking on the Save button. You will be dropped back to the account selection screen, where you should see that your profile is registered to your Fresh PHONE account, as shown on the screenshot below. If you encounter any errors please double check your account credentials and make sure you have entered them correctly. You can make a test call *99, or if you are signed have RICA's your account and applied your FREE air time voucher, you can place a call to a traditional landline or mobile phone by dialling the number. QR Code option worked perfectly. Thanks! I have ported a second number to freshphone . How do I set it up on Zoiper? I managed to complete setup on my "Andriod mobile" using Zoiper. When I attempt to make a call, a lady voice asks for a "Password". What password should I use / say?? It seems you have ticked "Enable Pin protected Dialing", you can see this when you log on to your Telephone Managment System, if this is enabled, you need to enter your voicemail pin. if disabled you will be able to dial out as per normal. I hope you are well. I will escalate the issue you are experiencing, for now would it be possible if you could setup Zoiper manually. 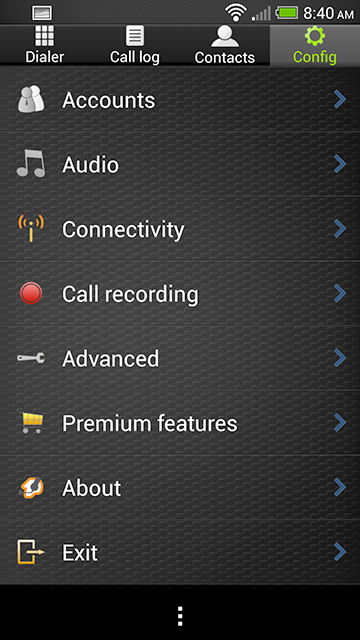 - Freshphone SIP Username, SIP Password, and SIP Server (sip1.freshphone.co.za). It seems the Zoiper server that generates the QR might have been down. I apologise for the inconvenience.